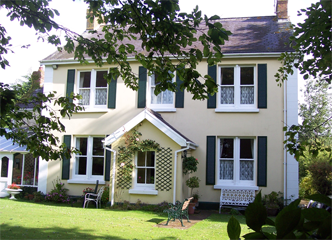 Malin House have 20 bedrooms offering various combinations of accommodation so there is sure to be something to suit you. Although not offering an evening meal per se, there are plenty of places to eat in Saundersfoot and Mrs Coleman will cook for a walking party if required, if this is arranged in advance. Malin House do not accept single night bookings over bank holiday periods so that does need to be borne in mind but if you wish to linger a while to explore the surrounding area, then this could be the place for you. 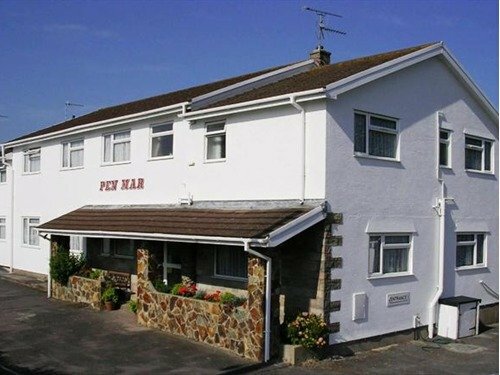 Pen Mar Guest House can offer you comfortable accommodation and they pride themselves on their hearty breakfast. After visiting the town for dinner, a comfortable guest lounge and well stocked bar could be just the thing you need to set you up for the next day's walk. You will only have to enjoy the next leg, safe in the knowledge that luggage transfers will deal with the business of transferring your luggage. 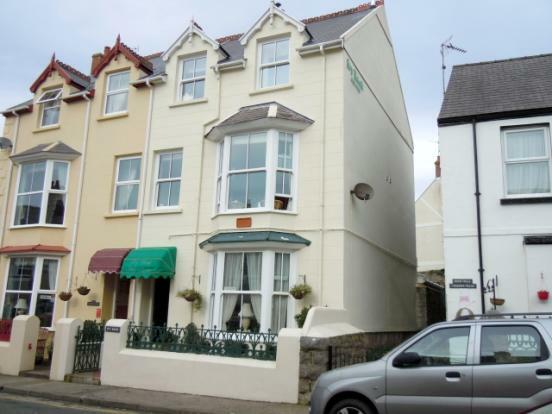 Rose Cottage is situated just a stone's throw from the path, in Tenby with all the facilities that the town has to offer. Your host does operate a 2 night minimum stay policy so if you are taking a rest day, or visiting one of the islands, then this could be just the place for you. It may be possible to accommodate a dog, but as your host has dogs of her own this would be something you need to discuss with her. This caravan park has been managed by the same family for over 50 years and they pride themselves on providing the 'Well Park Experience'. 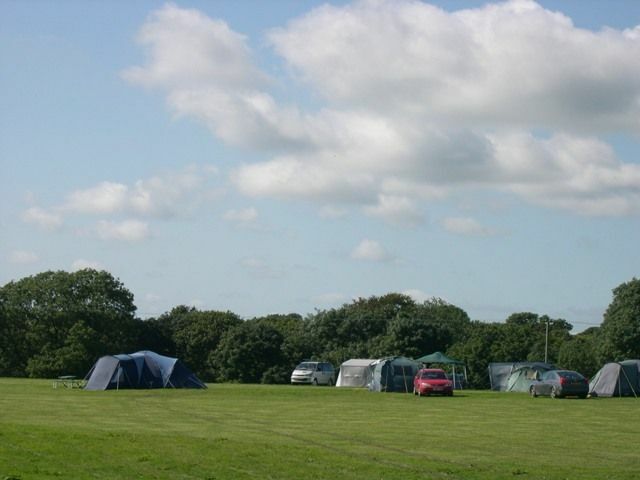 Easily within walking distance of Tenby and Saundersfoot, with all the facilities that those towns offer, this caravan park could be just the place for you to spend your first, or last night of your holiday. If you have been under canvas for the duration of your walk, you could even extend your holiday and have a caravan! It is essential that you have a booking in place in your name at the campsite, otherwise the operators may not allow us to leave your luggage. Also you should advise the operators that your luggage and equipment will be arriving ahead of you, in case they foresee any problems. This is especially relevant during high season. Just a 5 minute walk from the coastal path, and enjoying stunning views, Giltar Grove is just right for your to spend some time. Although your host does not cater for evening meals, there is a pub and a restaurant very nearby for you to obtain your well earned dinner. Your hosts will welcome 'one-nighters' and the price reflects this. If you are intending to stay for a longer period there would be a slight reduction in price. Just the place then, whether you are resting overnight or staying longer to explore the area. The New Overlander is situated just a few yards off the path so is ideally suited for the walker. Your hosts offer all the facilities that you need and expect. A minimum stay policy of 2 nights is operated at weekends and busy periods so why not factor in a rest day and explore the area? When you are ready to move on, Luggge Transfers can take care of all your logistical problems leaving you free to walk with just your lunch, camera and other essentials. 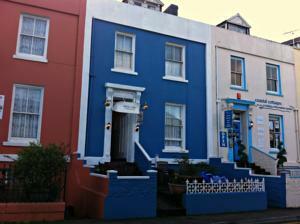 The Beachcomber, formerly the Deer Park Guest House, offers good facilities and is very conveniently placed in Tenby. Your host operates a min 2 night stay policy over weekends. Whether you are passing through or plan to stay and explore, this accommodation could be just the ticket for you. 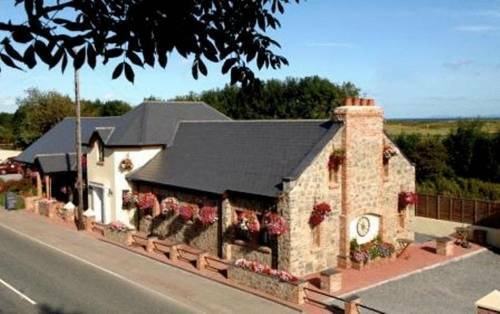 Being just a very short walk from the coast path, the Ivy Bank is well placed to offer accommodation to the walker. Whether you wanted to stay overnight or linger longer to visit the area properly, this could be just the place for you. 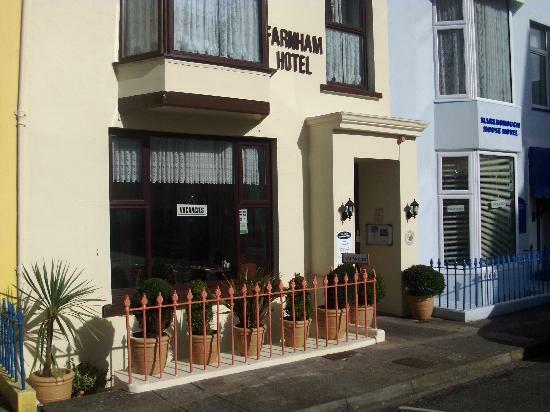 Situated in Tenby, with all the facilities that the town has to offer, the Farnham Hotel offers good accommodation to walkers and cyclists. Your host is a keen cyclist himself. This hotel is just 100 yards from the path and your host does not operate a minimum stay policy so this really could be just the place for you whether you are overnighting or spending longer in the area. 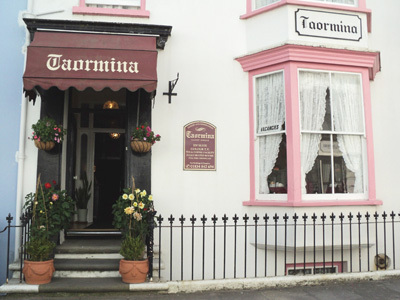 Taormina Guest House is very conveniently situated in Tenby and offers well priced accomodation for walkers. Yours hosts operate the usual min. 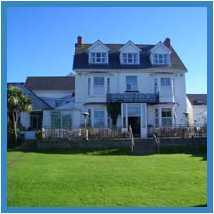 2 night stay over bank holidays and during peak season (July/august) but will accept single night bookings at other times. A packed lunch can be provided if required with reasonable notice.